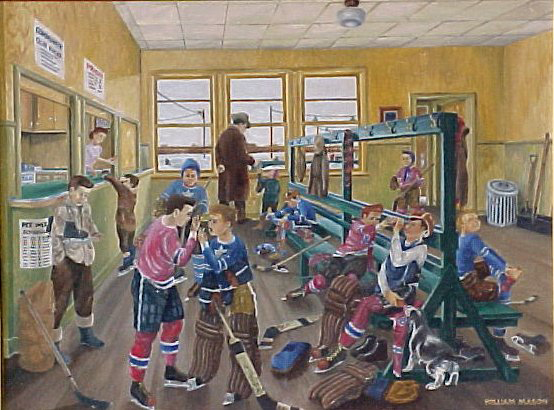 Go back to the glory days of hockey – Leafs vs. Canadiens – with an art print of ‘After the Game’ – depicting the Riverview Community Centre of years ago. Now available for $60.00. Approximate Size 16 x 20. Contact gm@riverviewcc.ca or call 204-452-9944 to purchase your today while supplies last. For more information on Bill Mason, click HERE.